SQT Training Ltd is a specialist provider of bespoke training courses and programmes that help organisations become leaner, more compliant and more progressive. 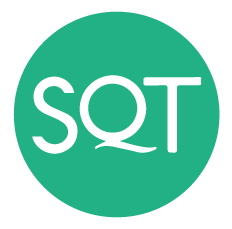 For over 25 years, SQT Training has brought the latest thinking, the leading techniques and the most experienced industry experts into ambitious organisations, large and small, throughout Ireland, the UK and beyond. We trained some of the very first ISO Lead Auditors and many years ago we coached the earliest adopters of Lean Six Sigma. We empower people with the capability to help their organisations reach the highest standards, maintain compliance and drive efficiency. Our unique Train the Trainer programme will help you understand and experience the skills needed in training others successfully in a dynamic, multi-sensory format that will dramatically accelerate acquisition and application of knowledge.